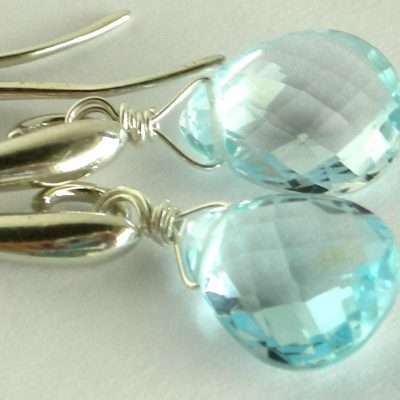 Topaz is a durable gem, occurring in a wide range of colors. Often associated with a golden yellow color, it can be found in a variety of other colors – the rarest are natural pink, red, and fine golden orange, sometimes with a pink tone. Natural blue topaz is very rare, the majority is colourless topaz that has been irradiated and heated (mimicking nature) and this treatment cannot be distinguished from natural blue topaz. Mystic topaz has had a coating applied to the surface.